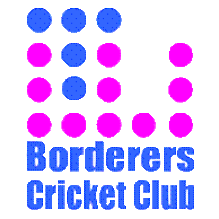 As a competitor in the East Sussex Cricket league and as the name suggests, Tunbridge Wells Borderers Cricket Club is situated on the border between Kent and Sussex. Boasting two high-quality cricket squares, the club currently fields two senior competitve sides and one senior friendly side competing in Saturday league, Sunday friendly, and midweek T20 fixtures. Colts and Juniors at TWBCC have been running a hugely successful campaign since its creation. With boys and girls age groups running right the way from Under 9 all the way up to and an Under 23 Academy, meaning there is plenty of cricket on offer for all ages. St Marks Recreation Ground is a fantastic setting to play cricket, an atmosphere that has been added to by the recently refurbished bar and changing facilities. Having these facilities at our disposal, the club maintains a very active social calendar, with social nights ranging from quizzes and camping, to impromptu BBQs and dinners. Tunbridge Wells Borderers has a fantastic support section which thrives on the spirit in which the competitve side of the club play their cricket. The combined sections of the club make TWBCC a great place to spend your Saturday afternoons. So if you are interested in joining in any one of the ways outlined above, please do not hesitate to contact us. Set your Availability for the season! We use the TeamStuff application to set player availability and to email teamsheets and fixtures. You should receieve an email invitation, but if you haven't already, sign up now! If you would like to sign up to become a member of TWBCC in any capacity, please download the relevant membership form below, and follow the instructions within.  Senior membership (18 and over).